Are you ready to rage at the Nicole Hoffman Stage? 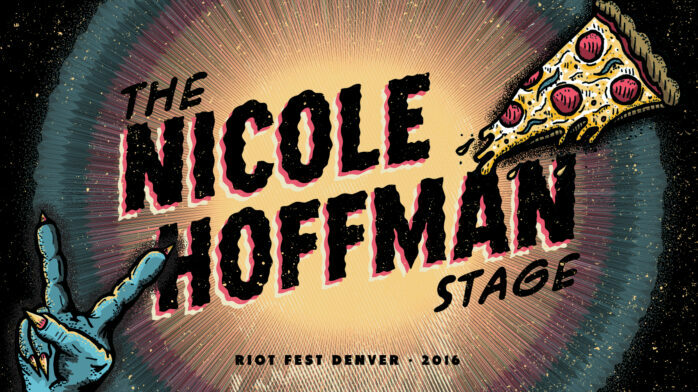 Congratulations to Nicole Hoffman of Boston, who has been selected as the winner of our “Name Your Stage” contest with Denver’s Westword to have a stage at Riot Fest & Rodeo named in her honor. Nicole is a lifelong punk fan with a passion for what she describes as “geriatric” but what we might instead refer to as “grown up” or “aged like a bottle of whiskey” punk music. Nicole may believe that crossing state lines to catch amazing bands and have the time of her life makes her an idiot but we think it just makes her more awesome. In fact, we think more people should partake in such “idiotic” behavior more often! Big thanks to everyone who entered the Denver “Name Your Stage” contest. Chicago – you’re next!